Vito Gionatan Lassandro is one of the organizers of the Food For Future 2011, an exhibition during the Salone del Mobile 2011 in Milan. And Vito commented one of my blog posts in order to inform me about the event. The event sounds great. It is the first edition of the FOODAM – Food Design & Art Museum. In an older blog post I wrote about food developments and the relations between food & design and food & art. Food For Future is an exhibition about exact these relations. “Based on the view that relations exist between food, design and the arts: one gives the opportunity for the manifestation of the others. In a world characterised by a surplus of information, there is no such thing as food without design or imagination without product. Food and nutrition, are among the most appropriate subjects for reﬂection on society. As stated by Gaston Bechelard, “ reality is above all, food. The organizers are still looking for projects, prototipes, books, infographics, websites, scenarios, restaurants or recipies. Send them your ideas until March 14th, a jury of professionals and academics from the various disciplines will choose the best ideas, which will be part of the exhibition. 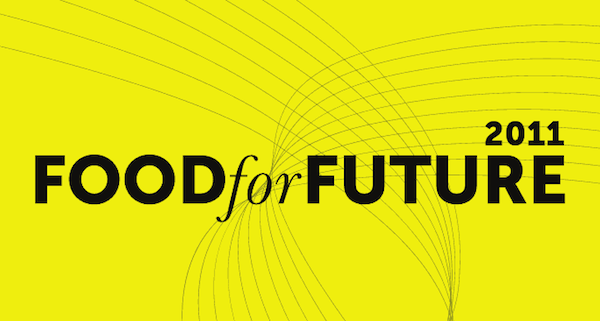 I would love to visit the Food For Future, it sounds like the Cognitive Cities Conference of Food. Maybe I can find someone who sends me to Milan to report about the event? !